3Prepare for Microsoft Exam 70-532--and help demonstrate your real-world mastery of the skills needed to develop Microsoft Azure solutions. Designed for experienced IT professionals ready to advance their status, Exam Ref focuses on the critical thinking and decision-making acumen needed for job success. 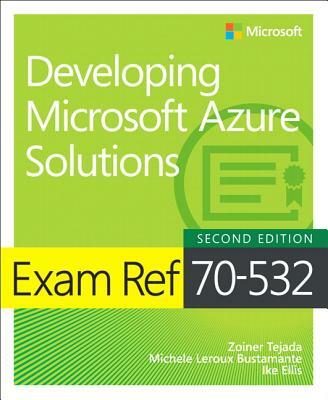 Exam 70-532 focuses on skills and knowledge for building highly available solutions in the Microsoft Azure cloud.